When writing ASP.NET Core MVC web applications, you may want to test that controller actions behave in the expected way, for example that the action returns the correct result type (e.g. a ViewResult) or that the action behaves as expected when the model state is invalid. In the preceding code, notice the xUnit.net [Fact] attribute that marks the Test1 method as a test that should be executed by the test runner. 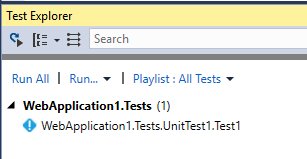 One way to run tests in Visual Studio is to use the built-in Test Explorer which can be accessed via the menus: Test->Windows->Test Explorer. There are many different ways to test the results of controllers, including the ability to simulate model errors or using Moq mock objects as controller constructor dependencies. To learn how to get started testing ASP.NET Core MVC applications check out my ASP.NET Core MVC Testing Fundamentals Pluralsight course. When writing automated tests it is sometimes useful to isolate the thing(s) being tested from other parts of the system. These ‘other’ parts may still need to be provided, and sometimes the real versions are too hard or cumbersome to use. In these instances “mocked” versions can be created and used. A mock version of something is an object that can act like the real thing but can be controlled in test code. Moq (pronounced “mok u” or “mock”) is a library available on NuGet that allows mock objects to be created in test code and it also supports .NET Core. Moq allows the manipulation of mock objects in many ways, including setting mock methods to return specific values, setting up properties, and matching specific arguments when the thing being tested calls the mock object. In the preceding code, the Setup() method is used to tell the mock how to behave when it is called by the ThingBeingTested. In the preceding code, the Verify method is used to check that the mock JoinUpper method is being called exactly once with the values “Sarah” and “Smith”. The test code is also expecting the method to be called exactly once. To learn more about using Moq to create/configure/use mock objects check out my Mocking in .NET Core Unit Tests with Moq: Getting Started Pluralsight course. 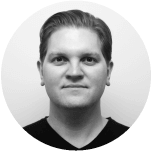 When moving to Azure Functions or other FaaS offerings it’s possible to fall into the trap of “desktop development’ thinking, whereby a function is implemented as if it were a piece of desktop code. This may negate the benefits of Azure Functions and may even cause function failures because of timeouts. An Azure Function can execute for 5 minutes before being shut down by the runtime when running under a Consumption Plan. This limit can be configured to be longer in the host.json (currently to a mx of 10 minutes). 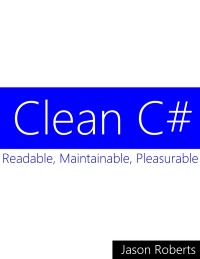 You could also investigate something like Azure Batch. In this initial attempt, a blob-triggered function is created that receives a blob containing a data file. Each line has some processing performed on it (simulated in the following code) and then writes multiple output blobs, one for each processed line. Microsoft.Azure.WebJobs.Host: Timeout value of 00:05:00 was exceeded by function: Functions.ProcessBatchDataFile. Embracing Azure Functions more, the following pattern can be used, whereby there is no processing in the initial function. Instead the function just divides up each line of the file and puts it on a storage queue. Another function is triggered from these queue messages and does the actual processing. This means that as the number of messages in the queue grows, multiple instances of the queue-triggered function will be created to handle the load. When architecting processing this way there are other limits which may also cause problems such as (but not limited to) queue scalability limits. To learn more about Azure Functions, check out my Pluralsight courses: Azure Function Triggers Quick Start and Reducing C# Code Duplication in Azure Functions. Suppose you are creating a library that has a central set of features and also additional features that are only available on some platforms. This means that when the project is built there are multiple assemblies created, one for each platform. One way to achieve multi platform targeting is to create a number of separate projects, for example one for .NET Core , one for UWP, another one for .NET framework, etc. Then a shared source code project can be added and referenced by each of these individual projects; when each project is built separate binaries are produced. I’ve used this approach in the past, for example when working on FeatureToggle but is a little clunky and results in many projects in the solution. Another approach is to have a single project that is not limited to a single platform output, but rather compiles to multiple platform assemblies. After building the following will be created: "…\MultiTargeting\TargetingExample\TargetingExample\bin\Debug\netcoreapp1.1\TargetingExample.dll". Notice the platform directory “netcoreapp1.1”. Building now produces: "…\MultiTargeting\TargetingExample\TargetingExample\bin\Debug\netcoreapp1.1\TargetingExample.dll" and "…\MultiTargeting\TargetingExample\TargetingExample\bin\Debug\net461\TargetingExample.dll"”. A new Windows Classic Desktop Console App project can now be added (and the .NET framework version changed to 4.6.1) and a reference to TargetingExample added. The new console app contains the preceding code and when run produces the output: .NET Core. Now when the project is built, the netcoreapp1.1\TargetingExample.dll will return “.NET Core” and net461\TargetingExample.dll will return “.NET Framework”. Each dll has been compiled with different functionality depending on the platform. Update: The explicit <DefineConstants> for the different platforms are not required if you want to use the defaults, e.g. "NETCOREAPP1_1", "NET461", etc as per this Twitter thread and GitHub. Azure Functions allow small discrete pieces of code to execute in response to an external stimulus such as a HTTP request, message queue message, new blob data, etc. Just because functions are easy to create (even writing and testing code right in the Azure Portal) doesn’t mean good practices such as avoiding code duplication can be abandoned. My new Pluralsight course Reducing C# Code Duplication in Azure Functions shows some ways to reduce or remove code duplication both in a single Function App and across apps. My new free eBook “C# 7.0: What’s New Quick Start” is now complete and available for download. Azure Functions allow small discrete pieces of code to execute in response to an external stimulus such as a HTTP request, message queue message, new blob data, etc. They can also be triggered manually from within the Azure Portal or set to execute on a specified schedule.